This place caught my attention during Wellington On a Plate 2016. It received some absolutely glowing reviews, and I was baffled because I live just down the road and could have sworn that I had never noticed this place. I made it my mission to go, and together with a group of us we headed along to Fratelli one night for the $4o feast. This entails a set menu where you get to pick an option for entree, main and dessert. 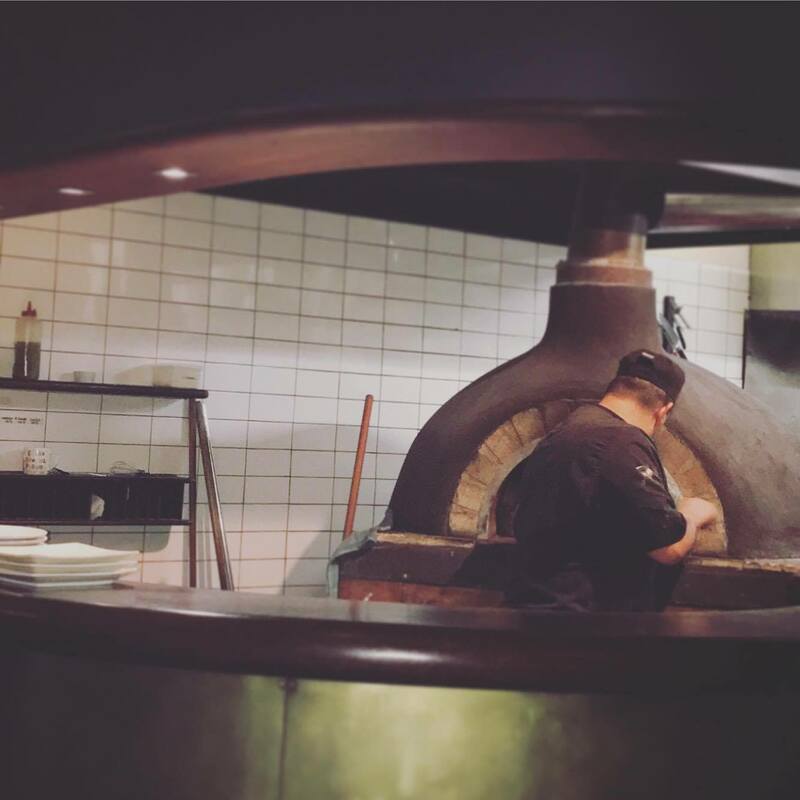 The feast only runs on a Monday and Tuesday night, and it’s absolutely essential that you book. We went on a Tuesday night, and were astonished at how full the place was, even once it got as late as 9pm (sometimes I think I forget that I now live in a big city, where things stay open past dark!). For an entree we ordered a mixture of garlic and herb bread, margarita pizza and olives. From the get-go we knew we were in for an absolute treat. The base to the pizza and the bread was so thin, light and fluffy that it made me extremely excited for what was to come. As I no longer eat beef, I was especially over-joyed to see that the pappardelle dish was made with pork shoulder (rather than the traditional beef ragu). In with a grin, the portion of pork shoulder was absolutely perfect – leaving me full, but still with room for dessert. We couldn’t say no to the tiramisu, but we also ordered a raspberry vinaigrette sorbet to accompany it, and both were spectacular. 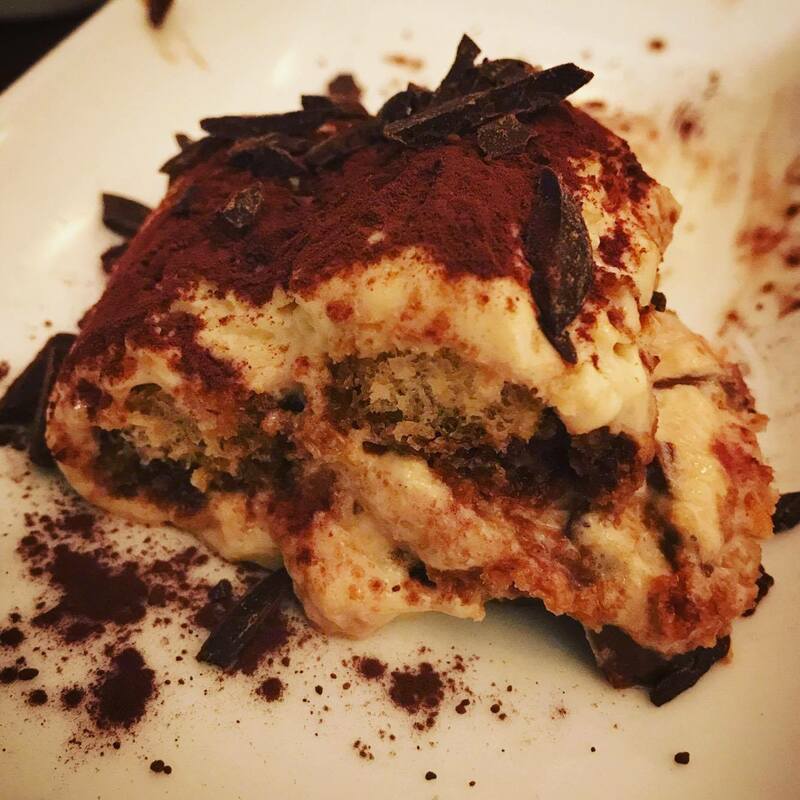 The tiramisu was right up there with one of the best I have ever had – I think the reason being that it was more focused on the chocolate, rather than the cream. Overall it was a fantastic night. I think when I go back, I would probably opt to do the feast again because it felt like such good value – but there are also so many other delicious items on the menu. Go Fratelli!